Thank you for your comment. It is always nice to know who my followers are and where they are from. I hope you have found my crafts useful for your sunday school. 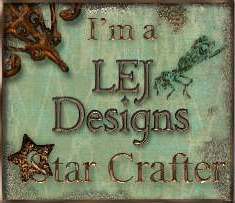 I love your cards they look really good, you will have to let me know where you do your craft fairs. Hi! My name is Stephanie Shock and I’m the senior editor for Die Cut Crazy Magazine. We are a digital only magazine currently available on the iPad, and soon to be available in other formats. I’m writing to tell you that we would love to share some of your work in our galleries. Since we are digital you will be credited, the photos will link back to the post we find them in, and you will keep all the rights to the photo as well. Please let me know if this would be okay! 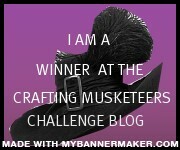 Thank you so much for linking your card to the inaugural Words 2 Scrap By challenge! We are thrilled to have you join us in our new venture. If would like to be eligible for prizes, we are requesting that you follow W2SB. Challenge winners will be invited to be Guest I-Teamers for upcoming challenges. We have fixed the issues with our follow link. Good luck, and thanks for participating in this month’s challenge!! Hey! I am from denmark, and I have try to get this Kanban Jasper stamp. I can not find it. Have try on ebay too, but nobody have it. If you have it, Will you mabe seld it to me?